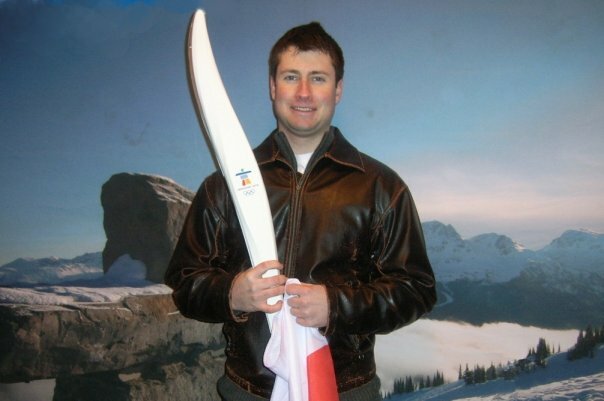 The Olympic torch in Halifax on November 18, 2009. A couple of my friends and I were there for the passing of the torch in front of Dalhousie University Sexton Campus Gym. Nova Scotia native NHL star Sydney Crosby carried the torch & passed it on to Sarah Conrad; Halifax Olympian snowboarder who ran it into downtown Halifax and lit a cauldron in front of Halifax City Hall. Over 20,000 people gathered into downtown Halifax for the ceremonies. 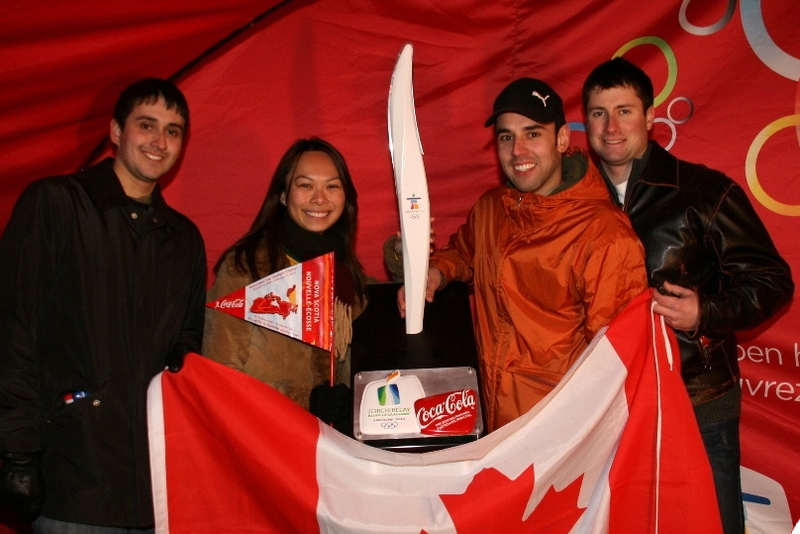 The ceremonies was put on (and heavily sponsored by) RBC and Coke. Performances included a local artist spin painting, musical performance and dance, DJ Skratch Bastid, break dancers, local snowboarders on a man made hill beside the main stage. Just picking up our torch Crosby dropped it off to us. After the torch ceremony Classified performed the hip-hop version of Canada’s national anthem “O Canada” (check out the official music video here). My friends Mike and Liz got a change try out an olympic bobsled at the end, lol. Check out my video of clips from the event below.